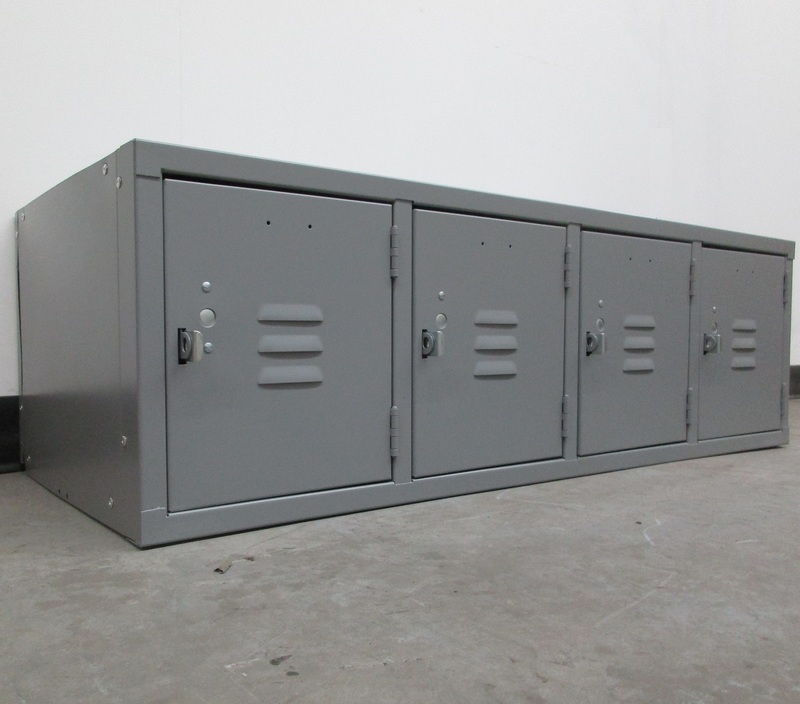 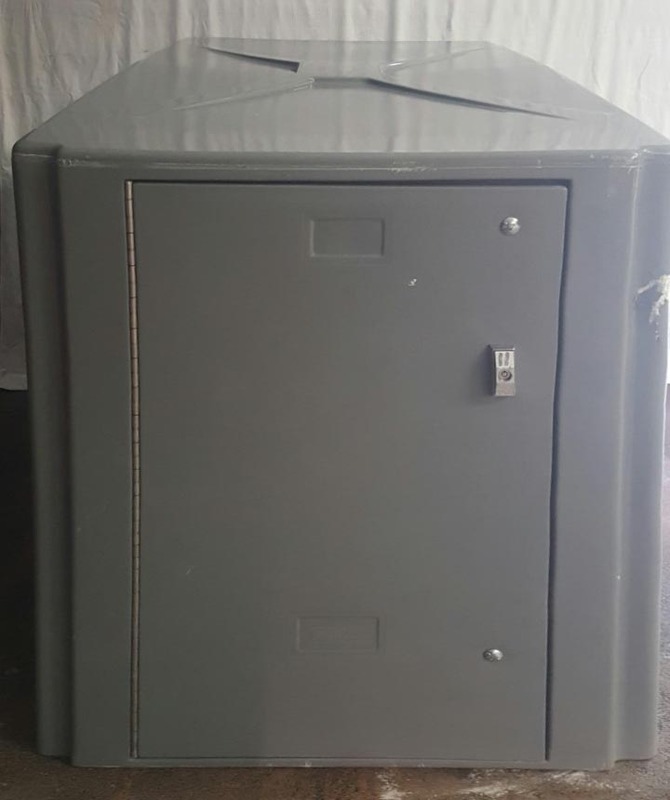 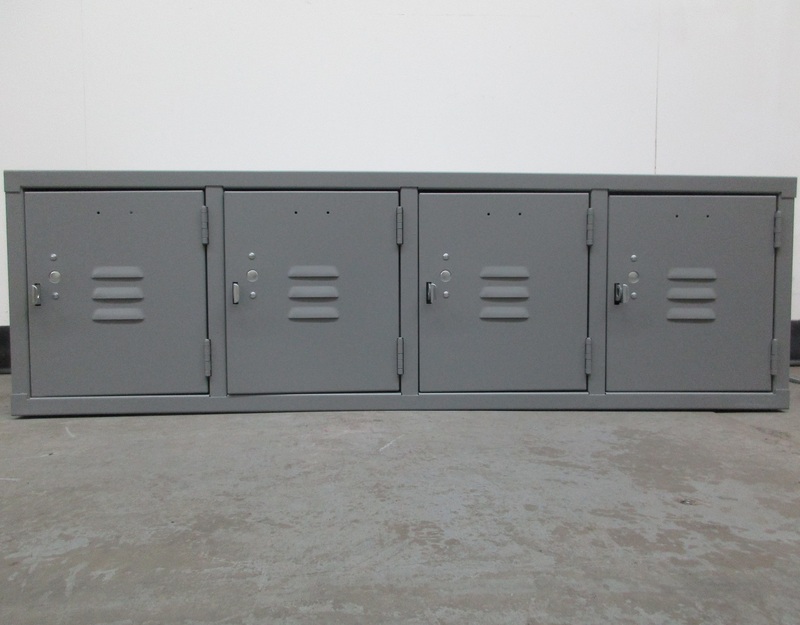 These Wall Mounted Lockers are available on www.buyusedlockers.com where they have a huge selection to choose from if we need additional supplies. 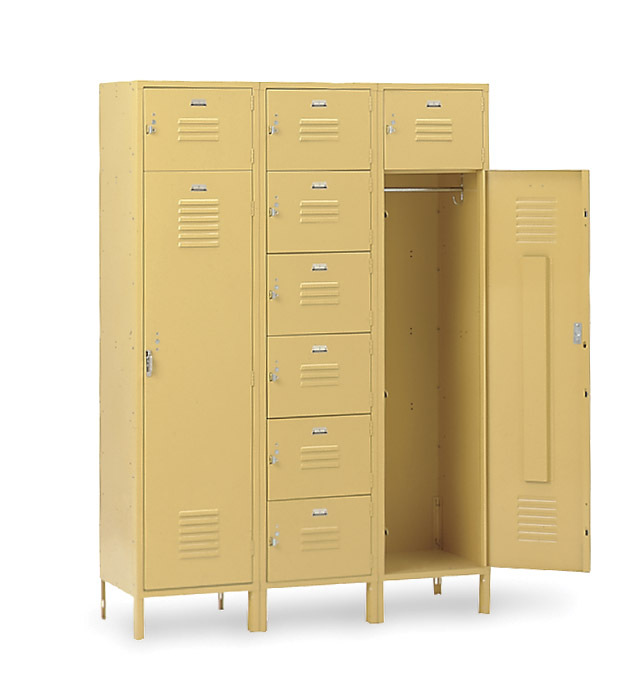 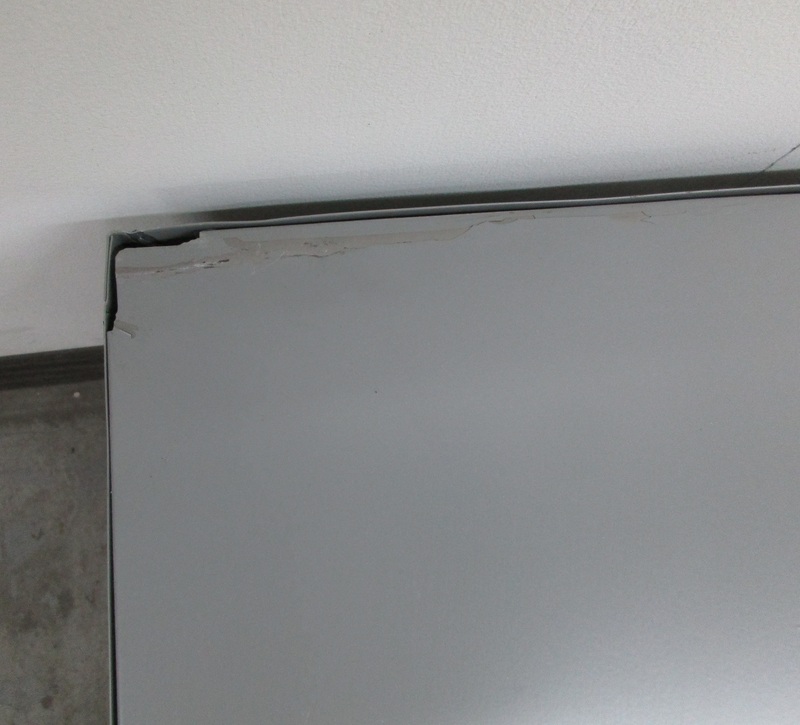 Dimensions: 45" x 18" x 14"
These lockers attach directly to the wall, making the space underneath the lockers completely usable. 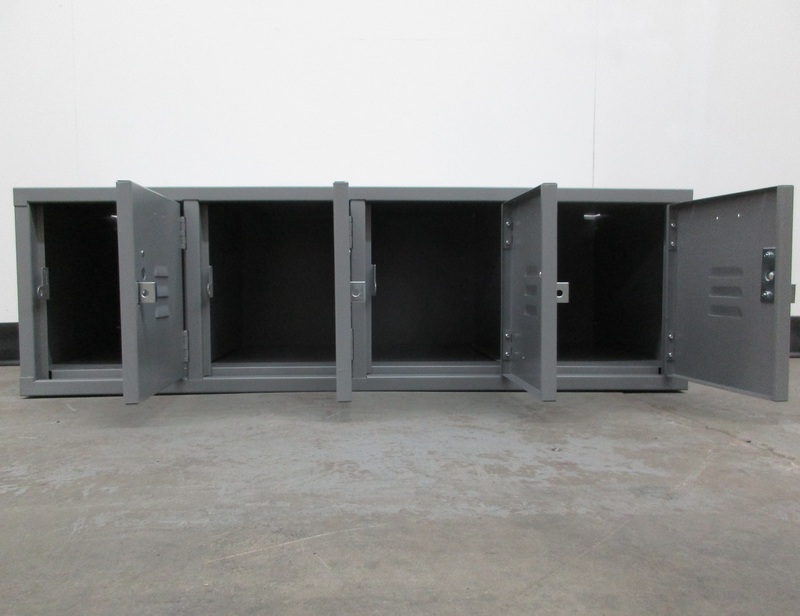 They measure 45" wide, 18" deep, and 14" tall, making each of the 4 openings about 11.25" x 18" x 14". 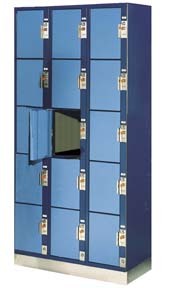 Each door features a single point latch that can be locked with a padlock. 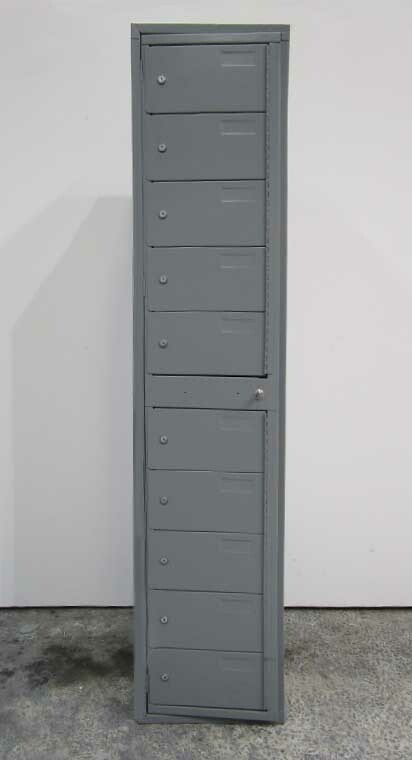 The latch/ handle mechanism has no moving parts which means that it will keep working beautifully for years to come.